Apple on Tuesday announced a steep decline in Greater China revenue for the third fiscal quarter of 2016, but CEO Tim Cook is optimistic about the region's future, one of the company's most important. Revenue from Greater China, which includes Taiwan, Hong Kong and mainland China, came in at $8.85 billion for the quarter, down 33 percent from the same time last year. The performance represents the worst decline of Apple's major operating segments, behind a 20 percent drop in Asia Pacific, 11 percent in the Americas and 7 percent in Europe. 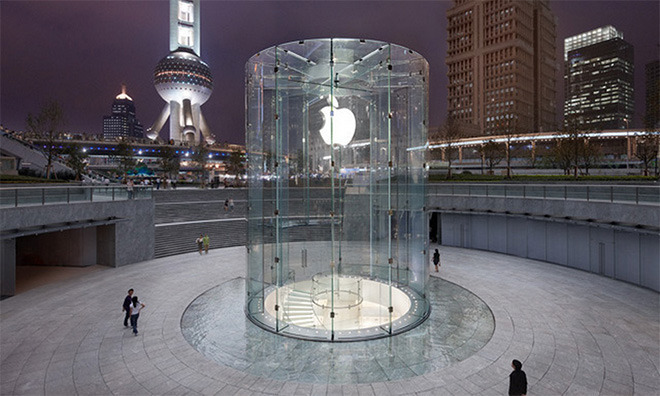 With its huge consumer base and growing middle class, China is seen as Apple's greatest chance at growth as the iPhone sales boom stagnates in more mature markets like the U.S. Past quarters saw the region deliver on that promise with double-digit gains like the massive 99 percent year-over-year jump in 2015, but recent economic headwinds have led to muted results. Commenting on the revenue dip, Cook reminded investors that current revenues compare against a backdrop of record-setting growth enjoyed over the past few years. Despite appearances, Apple's underlying business is stronger than results imply. "To keep things in perspective, when we look back on our accomplishments in this segment over the last couple of years, they are truly remarkable" Cook said. "In the first three quarter so this fiscal year, our total revenue from Greater China was almost $40 billion, up 55 percent from the same time frame just two years ago, while iPhone units were up 47 percent." He also pointed to a wider economic slowdown due to a Chinese yuan depreciation against the dollar. As it applies to iPhone, Cook said the greatest global channel inventory reduction came from China. First-time smartphone owners and Android switchers comprised a bulk of iPhone sales in the region for the quarter and, longer term, the company's iPhone install base has grown 34 percent over the last year. Further, China Mobile, the country's largest cellular provider by subscribership, said there are more iPhones operating on its network than any other brand. As expected, Apple continues to invest heavily in China. During today's investor conference call, Cook mentioned a $1 billion investment in Chinese ride sharing service Didi Chuxing and the opening of Apple's 41st retail outlet in China.